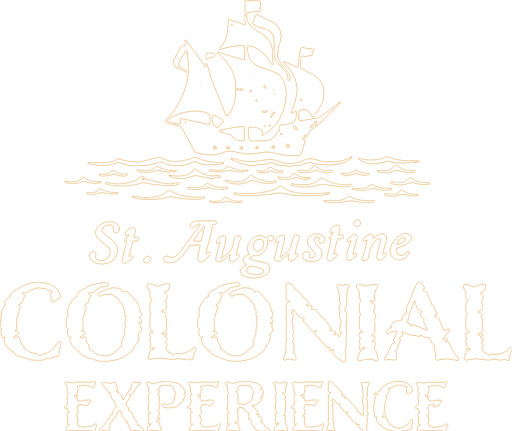 Journey back in time through the history of St. Augustine. and colonial buildings to shops and dining. 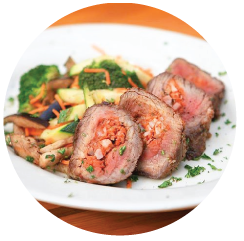 The Colonial Quarter’s growing list of restaurants offer fine dining and great views of historic St. George Street, while giving patrons a chance to bask in the atmosphere and culture of ye olden times. 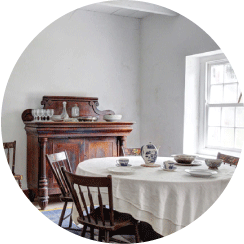 shop oﬀers some of the most authentic replicas, as well as fun, period-centric baubles that will sure to bring anyone back to a time where simplicity and rusticness reigned supreme. 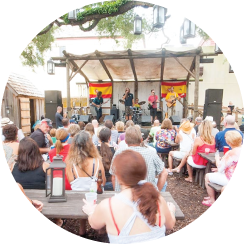 Historic downtown St. Augustine’s most attractive and largest outdoor venue. Free concerts and shows are offered weekly to anyone who wants to stop in and hear some of the best music around. 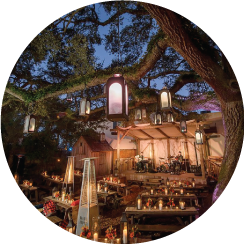 A regular host to community and private gatherings — The Colonial Quarter features two on-site restaurants plus an amphitheater under a sweeping live oak with family-style table seating for up to 175 guests.